You have may have heard me talk about my dear friend David M. Bailey – The Java Junkie. 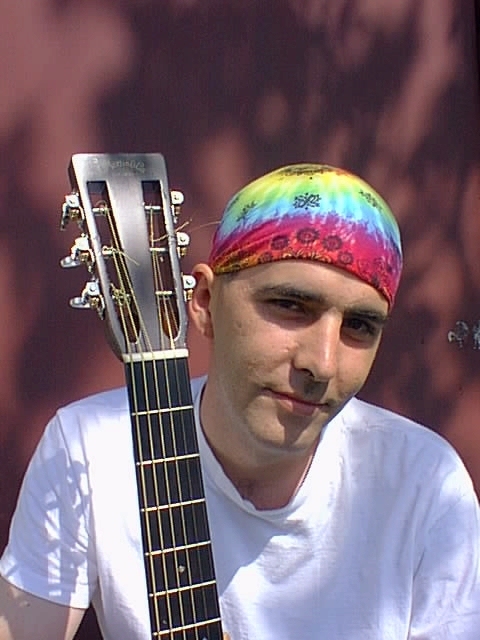 David was a celebrated musician, coffee lover, and brain cancer survivor. David was diagnosed with the worst type of brain cancer – Glioblastoma (GBM) – and was given only a weeks to live. David, however wasn’t going to settle for that diagnosis. He lived for 14 YEARS more. David traveled around the nation sharing his passion for life through his warm folk music, which was uplifting and often humorous – as you can hear in his song called “Java Junkie”. His music and generous spirit touched the lives of so many people. His music changed MY life. When I visited him for what would be the last time, I promised him that as long as I have breath I will continue to share his story. Three years ago, on what would have been his 50th birthday, I decided to do something special for him, to celebrate. Since he loved coffee so much, I wanted to share the love, and his story with other “java junkies”. I went to my local Dutch Bros coffee shop and surprised the customers in the drive-thru line with copies of David’s CDs and gift cards for a free coffee. I encouraged them to #DrinkOneForDavid today and shared a postcard with his story. This small gesture of kindness helps to brighten people’s days just like David brightened the lives of so many. It’s my way to “pay it forward” and to let people know that his live mattered. What started as a small gesture has grown into a tradition and is something I look forward to doing every year. 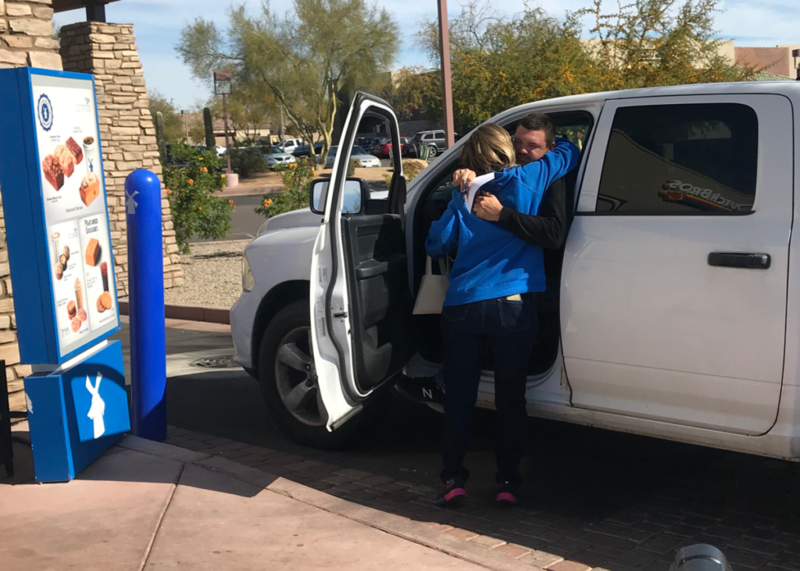 Sharing these moments helps to keep his story alive and help raise awareness about brain tumors, which is the heart of GrayMatters. This year’s “Java Junkie” Day was extra special. I was being interviewed by local Channel 3 News who wished to do a community story about our event and GrayMatters! I had the help of my friend and web designer, Heidi, to help Facebook live the event and help keep me organized. Hooray for helping hands! It was also great for someone else to witness first hand as some of my stories take place. 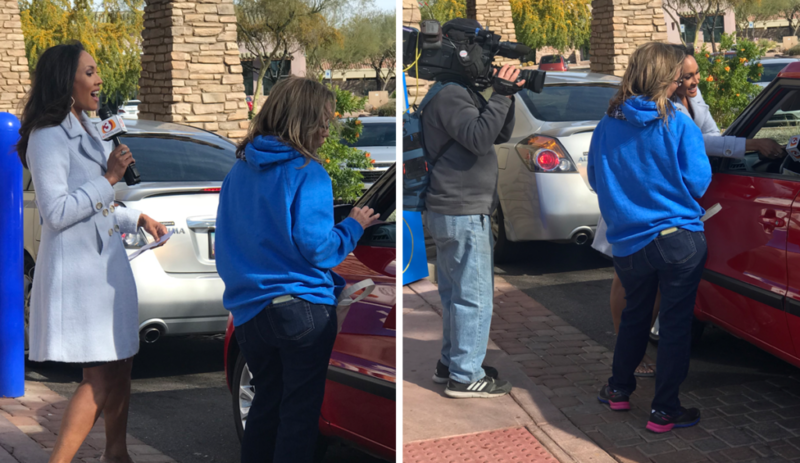 We got to Dutch Bros pretty early and handed out a few CDs and gift cards to the drive-thru guests while we waited for the news crew to arrive. It was a few minutes before they were supposed to show up and we were getting antsy because the drive-thru line was EMPTY! I mean, have you EVER seen a Dutch Bros line empty!? Especially on a Monday morning! Just crazy! 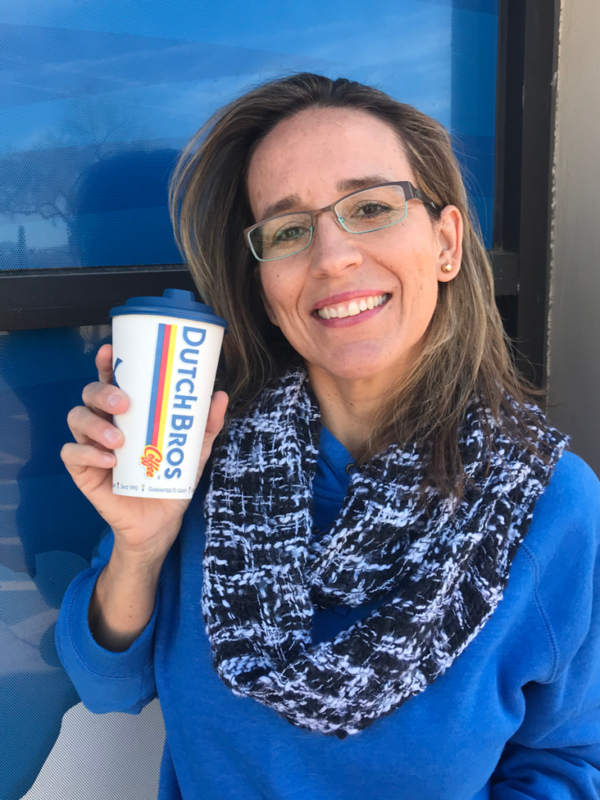 This particular Dutch Bros at GrayHawk is really cool because it is the first ever walk-in store. There are a few seating areas with tables and chairs and a meeting area and everything! I decided since there was a lull in the drive-thru line that I would pop inside and see if I could share with anyone in there. Inside there were two EMTs in line and no one else. I asked if they had paid for their coffee yet, which they hadn’t, so I sprung into action. I shared with them that I was a brain tumor survivor and I was doing this in memory of my friend, David who died from a brain tumor. One of the EMTs asked if David had GBM because that is what his grandmother died from. We chatted for a few minutes and shared a hug. If it wasn’t for the lull in the drive-thru line, I wouldn’t have gone inside and met this young man. HE was my ONE! Shortly after the news crew arrived and the camera guy comes up to us first. He shakes my hand and says “You won’t remember me, but I am the who filmed you at your Hon Kachina award presentation. I recognized your name on the call sheet.” I knew it was going to be a great day. The drive-thru line outside was still in a lull but by the time the new crew finished setting up and we were ready to roll it was completely filled back up! Thank you God! The interview went great and was shared on AZ Family Channel 3 News both in the morning and evening segments. One of the first people who showed up was a guy who remembered me gifting him a coffee card last year at a completely different local Dutch Bros! How cool is that!? I met another man who’s sister had a masectomy and his wife was diagnosed with breast cancer. Now his father was recently diagnosed with cancer. I gave him a “pocket heart” and reminded him that even when times seem hopeless or difficult that there is always someone who cares – even if that person is a complete stranger. I could see him tearing up and I said to him “Hey! I am a hugger. Bring it out here. Give me a hug.” And he did. One of the employees that was off duty that day but had come in for a coffee came up to me and shared his story from Valentine’s. I didn’t know it, but he was the recipient of one of my Hearts Day treat deliveries! To hear this young man explain how my kindness made a difference to him and impacted the way he views his own job by inspiring him to make others happy through his daily efforts, was really moving. Another cool thing that happened is that this year it was my goal to get “Java Junkie” played in a coffee shop and it happened!! Dutch Bros played David’s CD for their customers throughout the morning. I was SO excited for that! 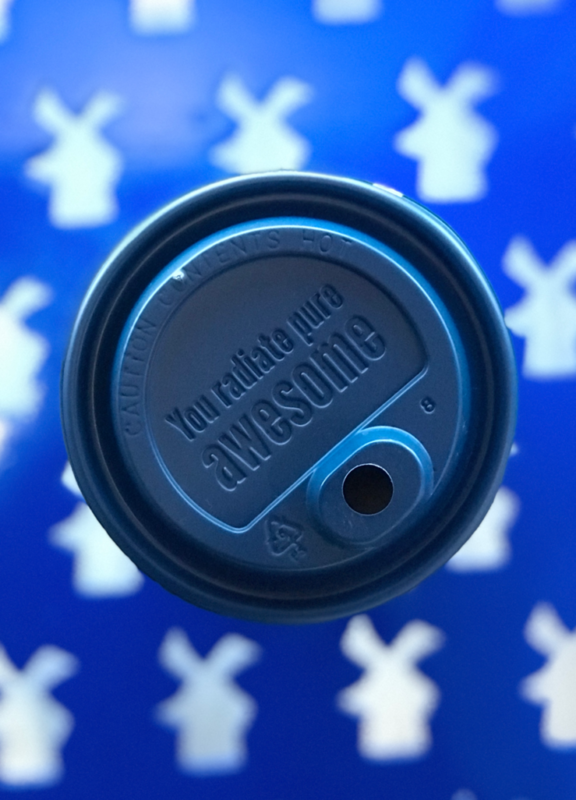 Thank you Dutch Bros at GrayHawk from the bottom of my heart! It’s always a pick me up to hear the stories and at the end of the day to reflect. The media coverage was really cool and I am always happy to get awareness, but being able to honor my friend and to help lift others in the process is what it’s really about. The core of my being is just happy. And let me tell you guys. I was radiating pure awesome that day, that is for sure!! My take away… KINDNESS is the key to happiness. I want to encourage everyone that its not to late share your coffee loving photos with the hashtag #drinkonefordavid. My hope for this tradition has been to make sure his family knows his legacy lives on and his story is still changing lives. Stories are so often shared over a cup of coffee, and in this way we are keeping his story alive and spreading Brain Tumor Awareness in our own unique way. 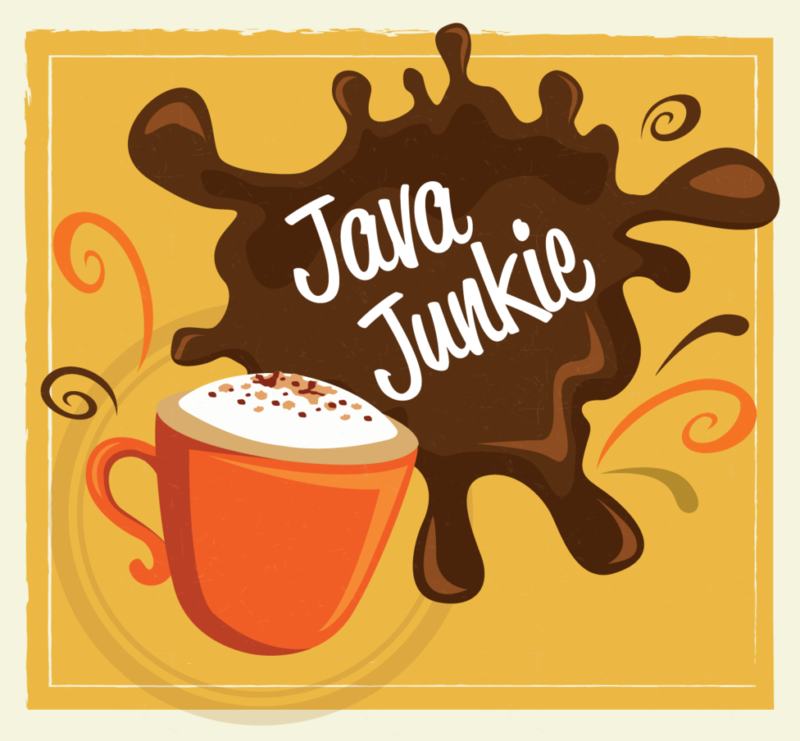 Drink up, Java Junkies! FANTASTIC! and Congratulations! Kindness is key, indeed. You are AWESOME, Lanette! You are a true inspiration Lanette…laughter is the best medicine!